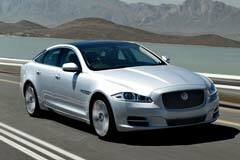 The very first Jaguar XJ debuted in the year 1968. It had 2.8 and 4.2-litre straight six engines. Through 3 different series this model remained in production until the year 1992, though only in small numbers in the V12 form. The rest of the range was replaced by XJ40. There was a return to round lights in the mid 1990’s, and the steel-bodied Jaguar XJs continued to be produced until 2003. The second generation was launched in 1987. This generation started with round headlights, but for 1990 it adopted the ungainly rectangular units which were met with scorn by Jaguar lovers. A third-generation XJ was made in 2004. This generation might have appeared like the previous generation, but it was completely re-designed and featured new aluminum chassis which was rigid and lighter than the earlier steel structure. A fourth generation debuted in 2011.Gone was older styling and in came contemporary styles inside and out unlike many other cars on the road.